A dedicated team of volunteers are being praised for their hard work during the recent severe weather which kept their local area moving. The Howwood Emergency Amateur Response Team (HEART) was formed to ensure the local area can continue to operate should an emergency situation occur. During the recent severe weather, the volunteers cleared local roads of snow and gritted the affected areas as well as clearing and salting bus stops to ensure safe access for travellers. The 25-strong group also cleared pathways in their own streets, ensured the area around the local primary school was free of snow and ice, and visited elderly residents throughout Howwood to ensure they were safe and well. 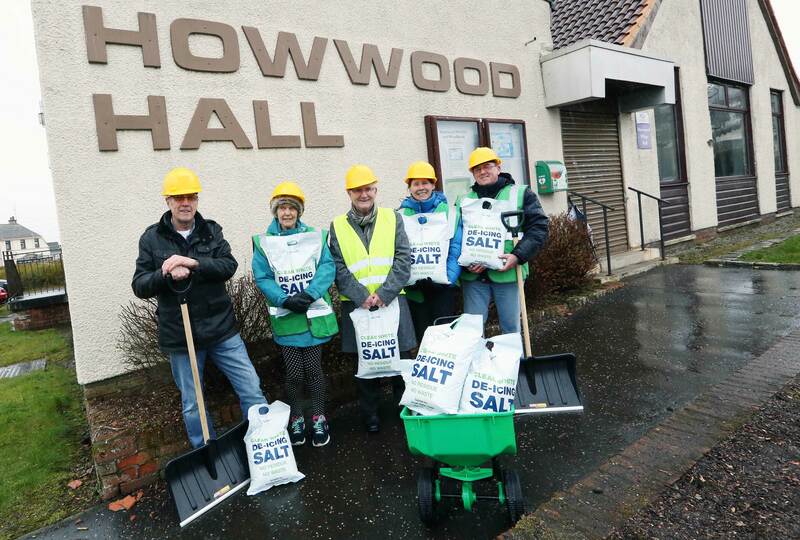 HEART volunteer, Joe Graham, said: “In 2012, Howwood Community Council first started developing its own Community Response group, referred to as HEART, and published its own Community Resilience Plan – delivering a copy of it to every household. “Following a number of training events and responses to ‘real’ local emergencies we now have over 25 volunteers willing to assist in times of need. “In addition to its very practical purposes Community Resilience helps put a pride back into local communities allowing residents to take ownership of the hardships facing them and to respond positively for the greater good of the community. Working alongside the Council’s Civil Contingencies Service, local communities are encouraged to undertake a variety of measures to ensure they are prepared for poor weather or other emergencies. This includes preparing an emergency plan, clearing paths around their homes, checking in on any vulnerable neighbours and keeping an emergency kit in their car just in case. This forms part of Renfrewshire Council’s #RenReady campaign which aims to provide the local community with the information and guidance they need to be resilient all year round. 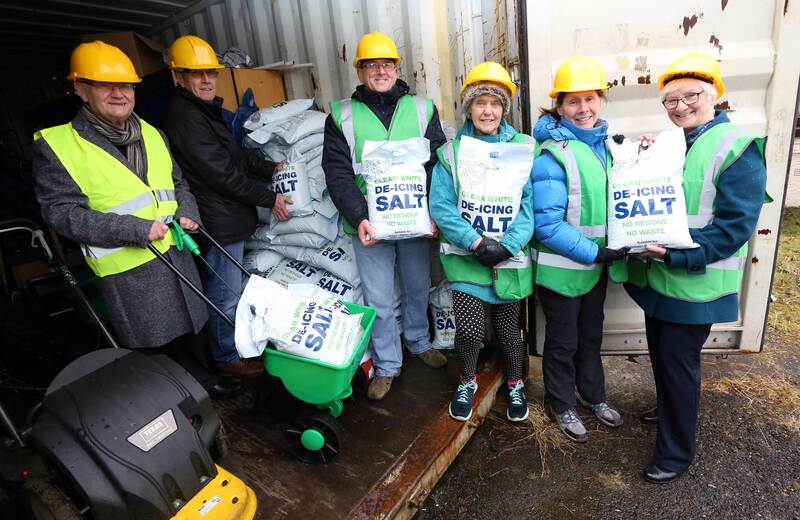 Councillor Cathy McEwan, Convener of Renfrewshire Council’s Infrastructure, Land and Environment Policy Board, reimbursed the group with salt they has used from their own stock, and said: “This is a fantastic example of the local community coming together for the benefit of their fellow residents and I commend the dedication of everyone involved with the HEART group. “Their hard work when faced with unprecedented bad weather recently made an enormous difference to the Howwood area and shows what can be achieved when the community comes together. “Our frontline teams work 24 hours a day in advance of, and throughout, any bad weather to both grit and clear the roads as the work to keep emergency, school and bus routes clear in order to keep Renfrewshire moving. “It is difficult for them to be able to reach all residential streets as well, so community spirit and initiatives such as this will allow local communities to continue to operate if severe weather arises. For more information on community resilience and how to prepare for emergencies, visit www.renfrewshire.gov.uk/ccs.